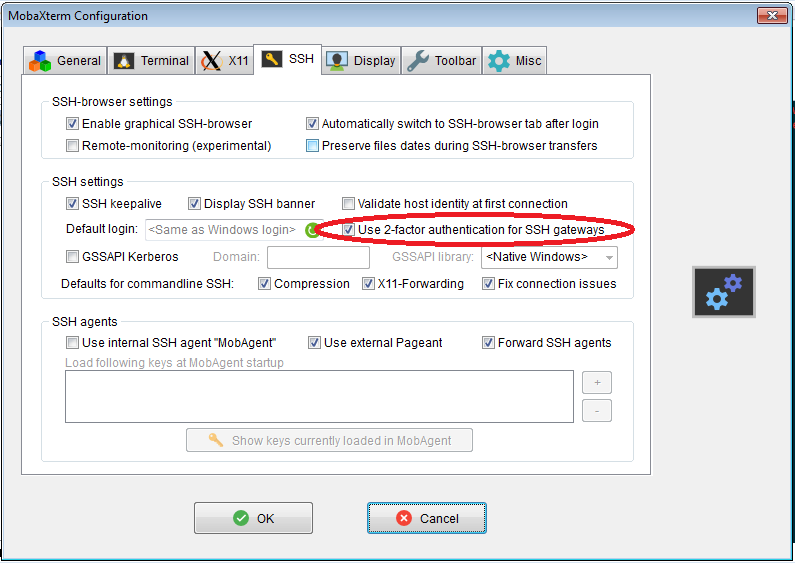 Enable the option, "Use 2-factor authentication for SSH gateways" (You can also enable SSH keepalive here to stop inactive sessions closing). 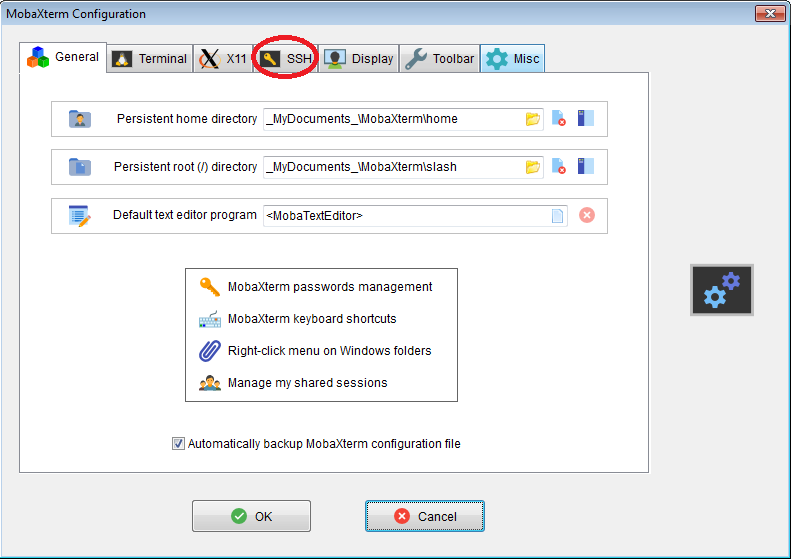 Click OK to exit the Settings dialog, and quit and restart MobaXTerm before continuing. In "Advanced SSH settings", set SSH-browser type to any option other than SFTP. For example, in the box below, SCP (enhanced speed) is selected. 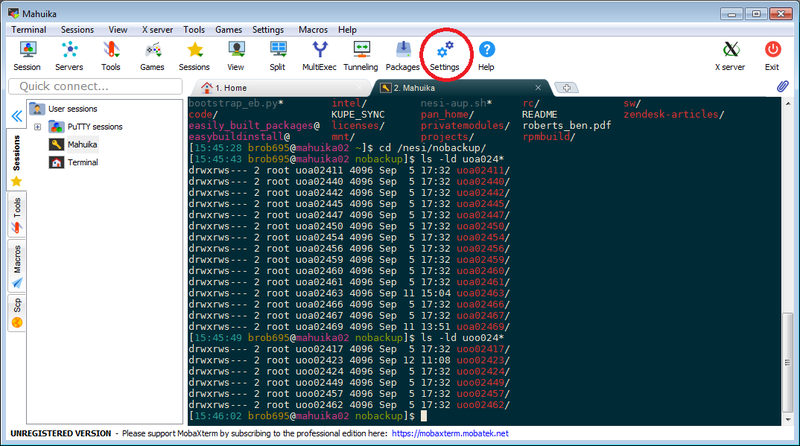 If you select None, note that you will need to set up a different client (such as WinSCP) for copying files. Enable "Connect through SSH gateway (jump host)"
Enter lander02.nesi.org.nz in the “Gateway SSH server” field, as well as your NeSI username in the User field for the gateway SSH server. WARNING: There is currently a bug with MobaXterm and our systems which causes some MobaXterm users to initially prompted with "password:" several times before being prompted for their first and second factor, then failing to connect to the platforms. This can currently be resolved by pressing "Enter" each time you are initially prompted for "password:", then logging in as normal once you are prompted for your first factor.